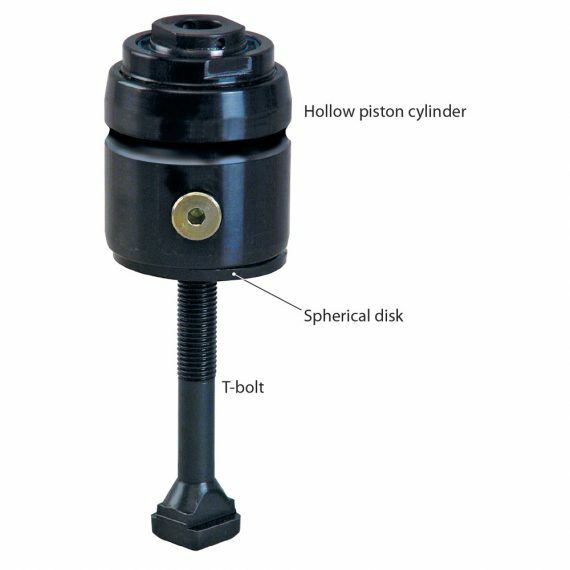 This Hollow Piston Cylinder is manually placed on the clamping edge of the die. The die is clamped by applying hydraulic pressure to the piston and mechanically unclamped by spring return. The T-bolt clamps the die on the clamping surface of the press ram or bed. Includes Spherical disk for optimum adaptation to the clamping surface, and is threaded for inch T-bolts.